Newly planted trees, fruit trees, and maple trees are prone to winter damage on the trunk because their bark is thinner, especially while young. Tree wraps shade the trunk from freeze cracking (sudden temperature changes) and protect from animal damage (rubbing, scratching, and chewing). 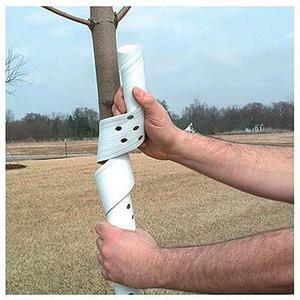 We carry 2 types of tree wraps, a plastic spiral about 4′ long and a paper wrap that is about 4″ wide. Remove in the spring, but you may want to put the wraps back on by mid-June to protect against sun scald during the hottest months. Again, remove in the fall and re-wrap in November. 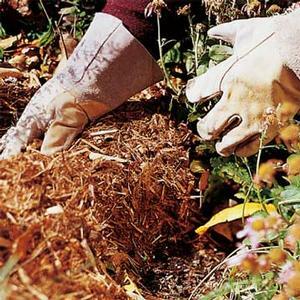 One of the purposes of mulch is to insulate newly planted shrubs, perennials, and bulbs. We don’t recommend mulching in the fall until November because soil temperatures are too warm before then. Hybrid Tea Roses, which are not as hardy as own-root shrub roses (like the Knockout roses), should be mulched heavily (12″ mounds), but not until the foliage has died back. At least wait until December to heap up those mounds. 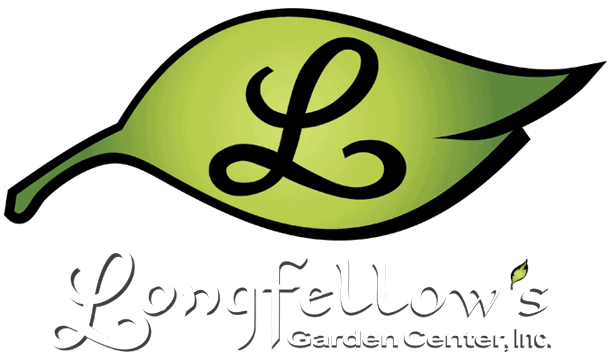 Mulch applied to landscape plantings mainly for decorative purposes can be done at any time. Our suggestions for waiting for cold weather is usually when applying large amounts to protect new and tender plantings. Protecting Evergreens like Azaleas, Rhododendron, Holly, and Boxwood. The biggest enemy to broadleaf evergreen shrubs is the winter wind. Planting them in a protected area is a must, but sometimes even that is not enough. 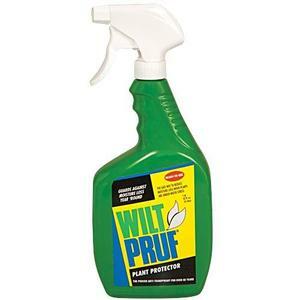 Wilt-Pruf is an anti-transpirant that, when applied to the leaves, reduces transpiration or drying out of the leaves. When the ground is frozen and the wind is blowing, broadleaf evergreen leaves will dry out, causing them to be burned or even die. Wilt-Pruf should be applied around Thanksgiving, when temperatures are still around 40 degrees, and should last through the winter. If applied earlier in the fall, another application will need to be made in February. Wilt-Pruf can even be applied to needle evergreens, Christmas trees, and cut greens.